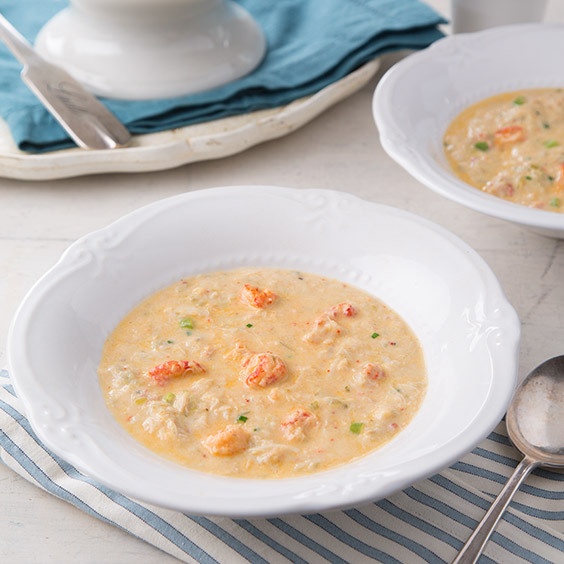 This Crawfish, Crab, and Mirliton Cream Soup is sure to warm hearts. Cut mirlitons into 1 inch cubes. Place in a microwave-safe bowl, and cook on high until soft, about 12 minutes. In the work bowl of a food processor, add mirliton, and process until smooth. In a large Dutch oven, melt butter over medium heat; add green onion, garlic, and celery, and cook until softened. Add bay leaf and mirliton, and cook over medium-high heat until most of the liquid evaporates, about 5 minutes. Add Crawfish Stock, salt, pepper, and Creole seasoning. Cover and cook for 45 minutes, stirring occasionally. 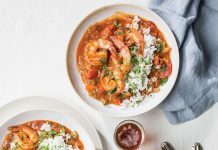 Remove bay leaf, and add the crawfish, crabmeat, and half-and-half. Simmer for 5 minutes, and serve. *Mirlitons are also sold as chayote squash. Seafood stock may be substituted. In a large Dutch oven, combine all ingredients. Bring to a boil. Reduce to a simmer, and cook for 30 minutes. Strain and let cool completely. 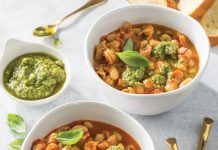 Where is the crawfish stock recipe? Thanks for pointing that out! 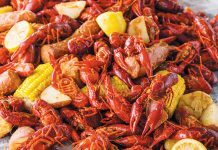 We’ve fixed the issue and added the Crawfish Stock at the bottom of the page. Thanks for asking! That is how the recipe was tested in our test kitchen. One tablespoon may sound like a lot, but the mirlitons are incredibly bland on their own. If you’re still concerned about it, you can always lower the amount and add additional salt to your liking. Beautiful baby . Congratulations and merry Christmas. Magazine is great. Keep up the good work.